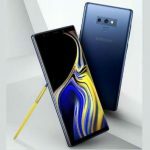 Samsung Galaxy Note 9 Android Oreo 8.1 is the flagship mobile in 2018-19. It has amazing features. If you are the owner of the Samsung Galaxy Note 9, so here we give you tips on how to capture a certain screen. Because you are at any time going to need to take a screenshot at some important point and notes. 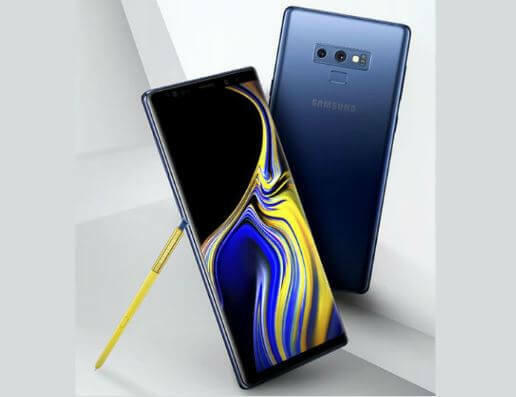 Samsung Galaxy Note 9 is Note phone. Our article we give you not only one option to take a screenshot but here we share with you simple three option to take a screenshot on your Samsung Galaxy note 9 Android 8.1 device. The screenshot is not a big thing, taking a screenshot is also easy and assembled. Samsung gives us surety the method of capturing screen will be fast, easy and smooth. If you people won’t take a screenshot on Samsung Galaxy Note 9 so, continue to read our below post unfollow step one by one. How to take a screenshot on your new Samsung Galaxy Note 9? Method 1: screenshot using a key combination – Samsung Galaxy note 9 tips. 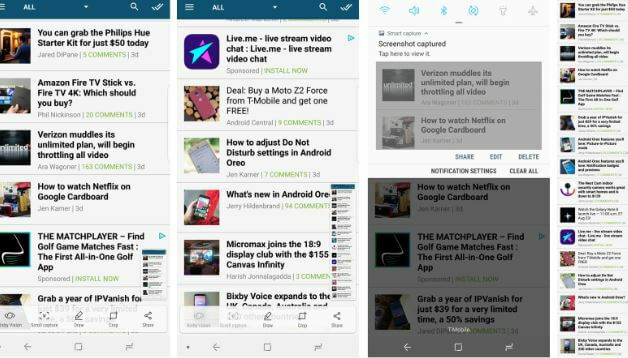 Method 2: screenshot using a Palm swipe- how to take a screenshot on Galaxy. Here a Simple method to take a screenshot- read how to take a screenshot on Galaxy Note 9 using Palm swipe key combination. This is Best and easy method to take a screenshot and it’s enough to take a screenshot. Step 2: press and hold the power button and volume down button for a couple of seconds aslo both button press same time. step 3: what time you will see flash on your screen, and in short time appears screenshot on your screen. Step 4: screenshot ready to share with social media. And also you should save it in your photo gallery. Step 1: open the content you people wish to screenshot on your Android 8.1 Oreo device. Step 2: set your hand vertically along on the left or right screen side of your Samsung Galaxy Note 9. Swipe through the edge by touching your hand on the screen. If this process doesn’t give work, so first check your mobile setting. Setting> advanced features> enable Palm swipe to capture. Step 3: you will see your flash and substance what is appears on screen shortly. In a short time, you will see your screen flash and the screenshot will appear on the screen. Step 4: now screenshot is ready to share and also you should save it on your mobile photo gallery for sharing the letter. You won’t take a screenshot and also you won’t take a screenshot with using S Pen. 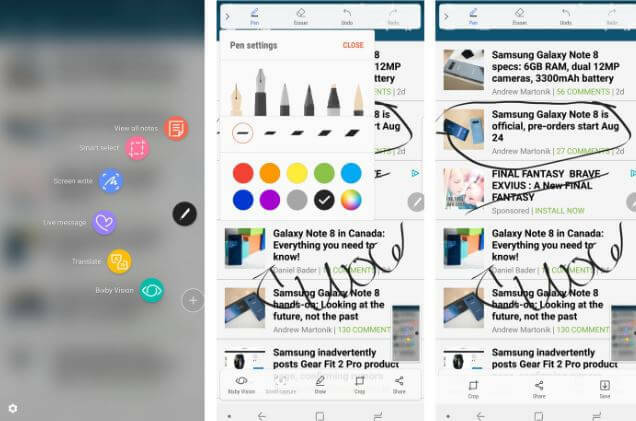 so, guys in Our article we shared with you how to take a screenshot with using S Pen. Step 1: open the content that you want to take a screenshot. Step 2: for start air command, Tejas pant and tap on screen write. Step 3: and that time screen flash and capture a single screenshot on Samsung Galaxy Note 9 screen. Step 4: now you are taken to the editing pane, where you can write on the screen using S Pen. Step 5: and if you people want any change in writing- in the top toolbar, you will get the option to change the colour of your Galaxy note 9 amazing S Pen. also, enable undo/redo and erase your strokes. Step 6: when finished the process, tap share/crop or save to complete for your work.